Majili, Naga Chaitanya and Samantha’s emotional romantic drama, gave the much-needed blockbuster for Chay. The film collected Rs 11.08 crore share in the Nizam region until its second weekend. On Monday, Majili collected another Rs 11 lakhs, taking its 11-day total share to Rs 11.19 crores. 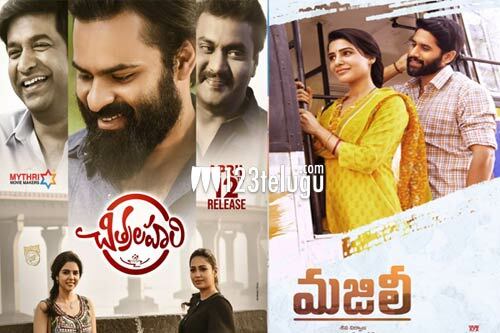 On the other hand, young hero Sai Dharam Tej’s Chitralahari is having a steady run at the box-offices across the Nizam region. The film collected Rs 2.36 crores in 4 days. Chitralahari is just Rs 1.64 crores away to reach its Nizam break even mark of Rs 4 crores before Nani’s Jersey hits screens on April 19.